It's all about packaging solutions for your business, designed to meet your specific needs. 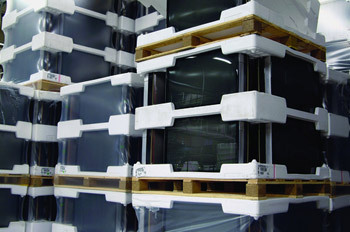 What sets us apart is our ability to scientifically design and fabricate cushion packaging systems to meet the unique requirements of each product and company. This focus is why we have been seen as an industry technology leader – developing the best in interior packaging from concept through to the finished packaging products. As a result, we have developed and patented a variety of packaging products that include the use of materials such as Polyurethane foams, Polyethylene foam, Polystyrene, corrugated and others. Today, major industries are taking advantage of our innovative handling & packaging for high-tech products including computers, electronics, precision instruments, photographic, telecommunications, medical, Automotive, and aircraft components.